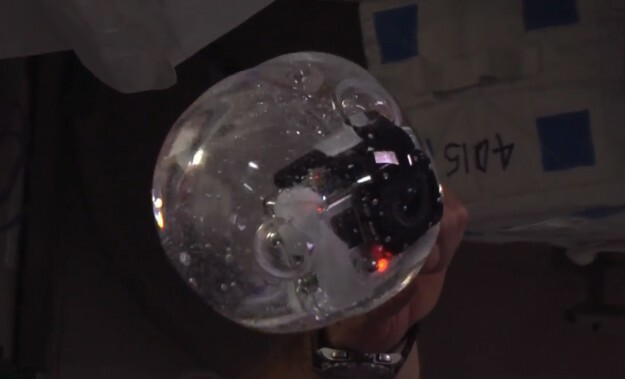 Curious about the behaviour of water in microgravity, ISS astronauts Steve Swanson, Reid Wiseman, and Alexander Gerst suspend a GoPro camera inside a bubble. It’s all about surface tension, apparently. If you have the appropriate eyewear, you can also watch it in 3D. 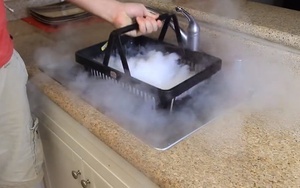 Posted in Science, Video and tagged ISS, water at 8:24 am on November 7, 2014 by Broadsheet. Space terrorists. They’re the worst. IS have astronauts now? Jeebus…!